Image: A. Messerschmidt/WireImage/Getty Images, Graham Denholm/Getty Images, Jean Catuffe/Getty Images, Julian Finney/Getty Images. Design: Allison Kahler/StyleCaster. Serena Williams — 23-time Grand Slam winner and mother of one — is the catalyst behind two new rule revisions in the Women’s Tennis Association, People magazine reports. And we approve wholeheartedly. Williams gave birth to daughter Olympia in 2017 and survived severe medical complications. The pro athlete was confined to her bed for six weeks postpartum. When she returned to compete in the 2018 tennis season, she discovered her No. 1 ranking had bottomed out at No. 451 because of a little thing called maternity leave. Grrrrrr. 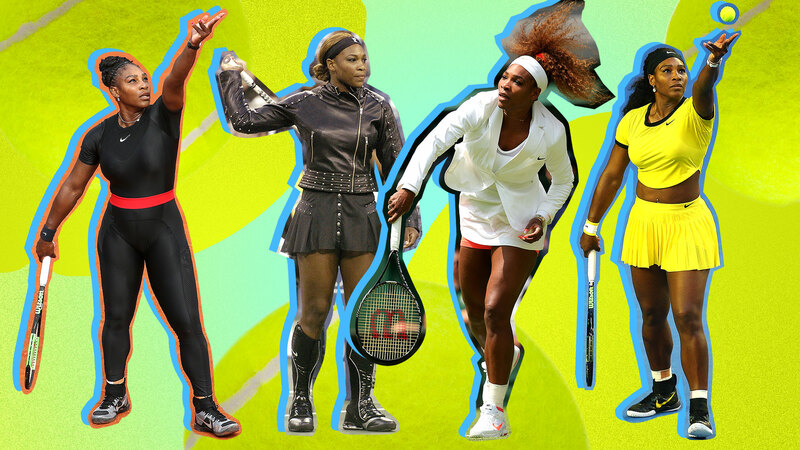 Incident two: Williams was unseeded at the French Open, where her chosen outfit — a black athletic catsuit — caused massive controversy when officials ruled it a violation against the standard dress code for women players. Double grrrr. The second revision permits women playing in WTA tournaments to wear “leggings or compression shorts without a skirt, dress or shorts over them.” Meaning that a black catsuit is A-OK — and the ban is now lifted.